Summary: Beautiful 3 tier wedding cake, all 3 tiers have been covered in white fondant along with cake board. The golden ribbon was used on all 3 tiers and again on the cake board to ensure the entire cake was a seamless blend. Pure white gum paste roses where made and the leaves were airbrushed with a high gloss gold, to tie the whole cake together. 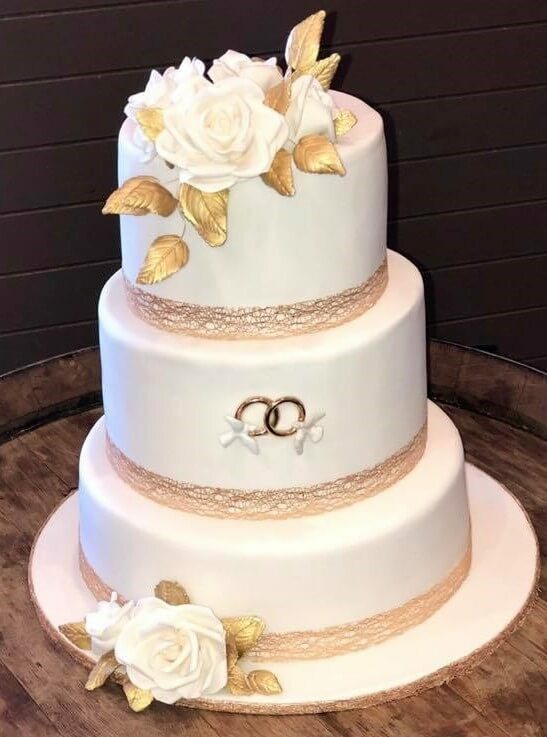 The wedding rings were placed on the side of the middle tier and hold great sentimental value as they have been handed down from generation to generation. 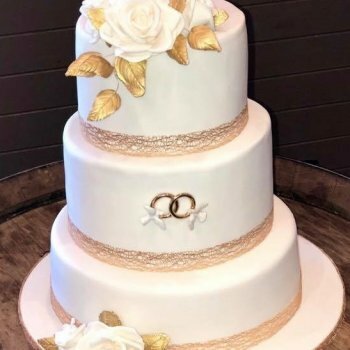 Overall a beautiful cake, that shows a little decorating can go a long way.